SAP provides a comprehensive curriculum designed to promote life-long learning, develop core competencies, and connects elementary school children with mentors. Along with gaining academics skills, our students develop self-confidence and motivation. Particularly influenced is their proficiency in the areas of math, science and technology. 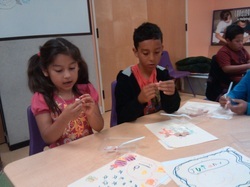 They incorporate new problem solving techniques and improve their communication skills. Students develop healthy interests, realize their own talents and build healthy social skills, which better prepares them for success in middle school and beyond. The curricula is designed to be agile and allow for changes to ensure we promote academic growth, are meeting specific needs of the individuals and promote collaboration among the students. ASAP operates annually from September to June. YEP introduces 4th through 11th grade youth to careers in science and technology fields through a design challenge. The participants are paired with engineering students from Stanford University, Santa Clara University, San Jose State University or professionals employed in the technology industry. The design challenge is the annual design competition at the Tech Museum of Innovation. The teams address a specific design challenge over a 14-week period. Using a project-based learning approach, participants are engaged in hands-on design activities and workshops that provide opportunities to learn about the engineering process. Core program activities entail designing, constructing, and prototyping of a device as preparation for competing in the Tech Challenge. The development process teaches how to determine and assign team roles, decision-making processes, brainstorming sessions, prototyping, testing & learning from failure, presenting and “selling” their device design to a panel of judges. This unique program helps develop leadership and collaboration skills by working in a team environment. Exposure to and understanding of different engineering fields teach the participants how these disciplines can help improve society. Mentors play a fundamental role in teaching the practical applications of advanced mathematics, physics, and engineering. They provide motivation, encouragement, and support through the trial and error of design - a natural part of the design process. A requirement of our mentors is that they must be engineering students actively enrolled in a local university or in a profession from the technology industry. For most of our economically disadvantaged participants it is very inspiring to see mentors who may come from similar backgrounds striving for and reaching their goals. The relationship provides a venue where mentees can ask questions about how their mentors made their way through school, college and beyond. Statistics have shown that most children who are not mentally stimulated during the summer lose about two months of grade level equivalency math skills and more than two months of reading achievement. Our program keep at risk children safe and engage them in continuous learning during the summer. SoL is designed to help children develop literacy skills and continue building positive connections with mentors. Our program emphasize literacy, the arts, and STEM. Our use of art directly connects to literacy, by bringing characters from books they read at camp to life through clay, drawing or painting. This pedagogy helps improve reading comprehension while providing opportunities for artistic expression and creativity. 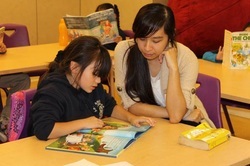 As well, our camps continue to promote literacy among English Language Learners. In 2014, in partnership with the Mexican Consulate of San Jose, we launched the STEM FOR LATINA GIRLS initiative. This initiative takes 20-25 Latina girls to local technology companies as a way of introducing them to careers in Silicon Valley’s technology sector. In addition to company tours, we provide workshops, panel presentations, and a special closing celebration. Throughout the week, girls have opportunities to meet employees of the companies, listen and learn from their college to careers stories, and ask questions to help them learn more about STEM related careers. The closing celebration is a great way to reflect on their experiences and share these experiences with their parents. For many of our girls, this initiative provides them with their first opportunity to visit a technology company. Companies interested in sponsoring a day by hosting our girls are welcome! Please email rosemary(@)3street.org to discuss details. This initiative includes nutrition and cooking workshops for parents to help integrate a wellness component into our programs. There are also adult yoga classes featured to promote physical exercise and well-being. The program has raised awareness and importance of higher nutritional foods and elevated physical activity of our After School Academic Program and Summer of Learning Program.